Our farm is located in southern facing hills outside Ashland, Oregon. We’re between 4,000 and 5,000 feet in elevation, an appealing ecology for yak. It’s a place of astounding beauty, about half forest and half meadow pastures. There’s calmly rolling hills, steep vertical ascents and endless skies. Nearby wildlife include deer, elk, bear, coyotes, mountain lions, foxes, bobcats, snakes, squirrels, skunks, and a wide variety of bird species. We are in the midst of developing microclimates, water landscapes, tree thinning, and introduction of rare and native species as we work with this complex ecological system. As we progress, we will be providing unique edible plant species and nutrient dense products for our local communities. Nourishment--for health, for the senses, for creativity and wellbeing. We currently raise a herd of around 20 yak. Our focus is on quality, foundation animals with excellent fiber, size, conformation and above all, temperament and personality. As a multipurpose animal with a lower environmental footprint than cattle and bison, yak fit well into our mountain property. We think they offer many opportunities for the future of small farms and ranches. We offer nutritious yak meat products and quality yak breeding stock. Stay tuned for what’s to come! Since I was a little girl, I dreamed of having a farm. I wanted to build an animal sanctuary, and a place where people could connect with the natural environment in a way we seldom do in our modern world. I wanted people to experience something real and beautiful. Something we almost forgot, but have held within us and want to experience more. I wanted to create a place where we can learn a more gracious way of living on this planet. A way of interacting with and appreciating what sustains and nourishes us. I still want these things for all of us. Much of my life was spent in non-traditional schools, where I enjoyed experiential and interdisciplinary education, art, and an appreciation for being in the wilderness. I received an undergraduate degree in art with an emphasis on cultural anthropology and non-profit business. I later earned a Master's in Sustainable Business and Communities from Goddard College, which helped me hone my interests in sustainable ventures, community development, renewable systems and right livelihood. I worked for three years at a tech company but my true love was outside the window, in nature. In 2014 I began on the winding road of developing a rural property and establishing a small herd of Tibetan yak. I never knew I would raise them as a child, but having been brought up among Tibetan Buddhists, I had been exposed to Tibetan culture, so it was an easy choice. I knew I loved yak and that they would be strong, resilient, hardy and beautiful in a land of mountain pastures and forests. Since then it has been an enjoyable challenge to work on building an infrastructure, a herd, home, road, well, and everything rural life entails. The yak have been excellent teachers of patience, comedy, strategy, ingenuity, unconditional love, faith and optimism. The adventure unfolds. 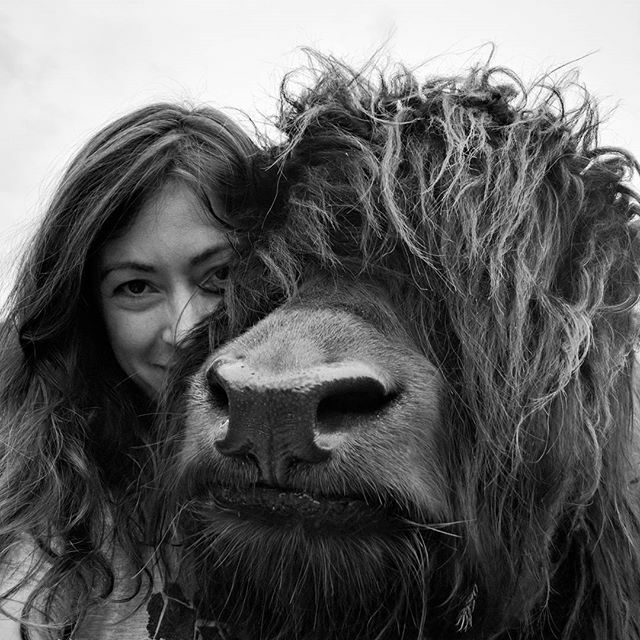 Stay tuned for my blog about yak, ranching, living off grid and general musings about life. We have been fortunate to have close friends, family, business advisors, mentors and dream builders along the way who continue to support the unfoldment of this long standing dream.